A staggering 5,000 young people from throughout the County Borough have benefited from the dedicated work of Rhondda Cynon Taf Council’s innovative Detached Youth Team. The street-based youth workers, who are part of the Council’s Services For Young People, spend their evenings, weekends and school holidays interacting with young people wherever they congregate – from street corners to parks. By getting to know them in their own environment building relationships, trust, and confidence, the team supports young people to express their needs, aspirations and works with them to broaden their horizons, achieve their goals and ambitions. Rhondda Cynon Taf Council’s Cabinet Member for Education, Skills and Lifelong Learning Cllr Eudine Hanagan said, “Working directly where the need is most, the Detached Youth Team engage with young people on their own turf and offer advice and support on a whole range of issues which may affect them, from sexual health advice or substance misuse support and alcoholism to helping them find a job or follow further education possibilities. ”With the aim of providing an individual, needs led service; within an environment of trust, support and respect, Detached Youth Workers offer a voice for those who have historically found it difficult to be heard. “Young people have the right to be heard and related to as equals and our service delivers accessible support, information, guidance, mentoring and advocacy. The amount of work undertaken by the Detached Youth Team has been vast. Thanks to their intervention, particularly amongst those who are most vulnerable or at risk of becoming disengaged, almost all have gained a variety of nationally accredited qualifications, work related skills and even jobs thanks to the support and encouragement they received. During evenings and weekends the Detached Youth Work Team are out and about on our streets, engaging with young people wherever they gather. Together they encourage them to improve their lives by tackling issues they may face on a daily basis. For some young people, personal problems or barriers mean they don’t access services and the Detached Team are able to provide support to enable young people to access a range of services and provisions. Thanks to the sheer tenacity of the team, a massive 5,044 people have been introduced to a whole range of courses, opportunities and training programmes, as well as a number of agencies such as job centres, training providers and career fairs to help them to develop skills and progress onto employment and training opportunities. More than 2,500 of those young people have gained essential qualifications and even employment. 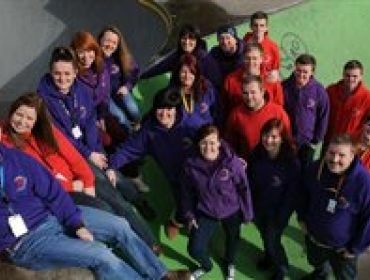 During 2012, the Detached Youth Work Team supported over 170 young people identified as ‘at risk’ of becoming ‘not in employment, education and training’ to develop individual action plans, goals, training needs and provide a pathway to further education, training and other work related opportunities. The Detached Team received over 401 referrals, since April 2012 from the local schools, the Council’s Childrens Services’, Education Welfare Service, GP’s, CAHMS, Police and other agencies for more specific one-to-one support. They also support a whole range of community-based events uch as “Emotion Behind The Commotion” has helped reduce anti-social behaviour by making young people more responsible for their own community and giving them a sense of citizenship. The Tonyrefail Urban Festival, Aberdare Sk8 Park Competition, Community Sports Projects, Mountain Ash Multi-Activities, Q Steer Project, Cardiff City Health Lifestyle Project and the Bryncelynnog Friday Night Project are just some of the examples of a large-scale youth-focused events taking place thanks to the team. The Detached Youth Work Team has received national and local recognition for its innovative projects and services, including winning a Welsh Government Youth Excellence Award for Outstanding Detached Youth Work Project in Wales, South Wales Police Innovative Award, RCT Health and Wellbeing Award and Outstanding Contribution to Youth Work. 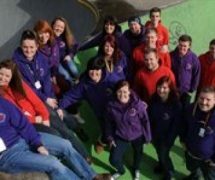 Detached Youth Workers are one of a number of ways in which the Council’s award-winning Services for Young People engage with the younger members of the community. The work of the Detached Youth Work Team often takes place in partnership with other Services for Young People Team such as the Outdoor Education and Duke of Edinburgh’s Award Team and volunteers and the Special Projects Team providing information and opportunities via the Council’s youth website www.wicid.tv|. For further information on Services for Young People in Rhondda Cynon Taf visit www.wicid.tv or call 01443 744000.